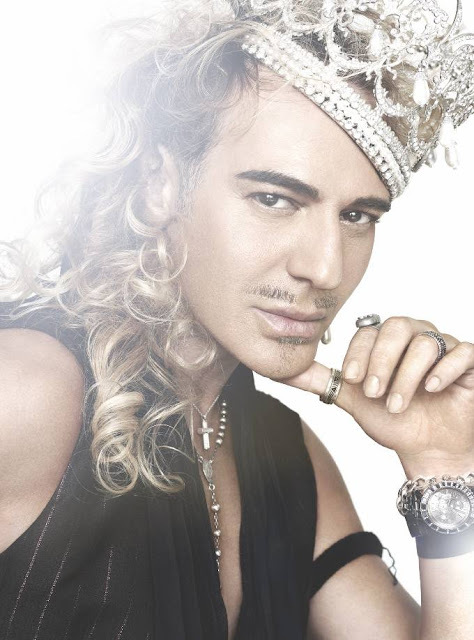 Fashion Gossip: 'Galliano's work is NO LONGER RELEVANT'!!!! 'Galliano's work is NO LONGER RELEVANT'!!!! Raf Simons, the creative director of Dior, has spoken of his shamed predecessor John Galliano for the first time, saying he believes his work is no longer "relevant" as it restricts women. Since taking the helm at Dior earlier this year, Raf Simons has kept schtum when it comes to discussing his disgraced predecessor, John Galliano - until now, that is. Speaking in the latest issue of Vogue Australia, the Belgian designer has revealed that he no longer sees Galliano's work at the iconic design house as "relevant". "I have so much respect for John [Galliano]'s technical skill and the fantasy, it's just something that I don't find relevant now, especially when it restricts a woman, because in every other area they have so much freedom," he said. Whilst Simons is known, and indeed loved, for his minimalist approach when it comes to cut and colour, Galliano is famed for his elaborate, extroverted creations, many of which made for exciting catwalk shows but often did not translate in terms of wearability.